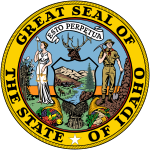 The 2010 Idaho gubernatorial election was held on Tuesday, November 2, 2010 to elect the Governor of Idaho. Incumbent Republican Governor Butch Otter won re-election, defeating his Democratic opponent Keith G. Allred. A former Lieutenant Governor and U.S. Representative, Otter won an open seat race in 2006 against Democratic Party nominee Jerry Brady with 52.67% of the vote. Both Rammell and Ullman sought support from followers of the Tea Party movement by criticizing Otter's 2009 attempt to raise Idaho's gas tax. In August 2009, Rammell drew criticism for joking about buying a license to hunt President Barack Obama. Between January 1 and May 9, 2010, Allred led Otter in fundraising, having raised $241,000 to Otter's $193,000. Allred said, "We are picking up momentum and are right where we want to be." However, Otter limited his fundraising activity while the Idaho Legislature was in session. Allred has criticized Otter for backing cuts to public education spending, which led the Idaho Association of Commerce and Industry to launch a website attacking Allred. ^ "Gov. Otter files candidacy papers for re-election". KBOI-TV. March 12, 2010. Archived from the original on July 18, 2011. Retrieved March 15, 2010. ^ a b "Three in, one out in Guv's race". The Spokesman-Review. March 8, 2010. Retrieved March 15, 2010. ^ Kunz, Aaron (May 13, 2009). "Rex Rammell Announcement To Run For Governor". KPVI-DT. Archived from the original on July 13, 2011. Retrieved March 15, 2010. ^ "Ada County Commissioner Sharon Ullman will run for governor in 2010". Idaho Statesman. July 14, 2009. Archived from the original on February 8, 2013. Retrieved March 15, 2010. ^ a b Miller, John (May 25, 2010). "Otter, Allred win their Idaho primaries". Idaho State Journal. Retrieved June 6, 2010. ^ "Idaho Republican, governor hopeful Rex Rammell makes 'Obama tags' joke about hunting President Obama". Daily News. August 28, 2009. Retrieved March 15, 2010. ^ a b "Idaho Governor Primary Results". The Associated Press. May 25, 2010. Retrieved May 25, 2010. ^ Popkey, Dan (December 11, 2009). "Keith Allred will run as a Democrat in Idaho's race for governor". Idaho Statesman. Retrieved March 15, 2010. ^ Kunz, Aaron (July 7, 2009). "Lee Chaney Runs for Governor as Democrat". KPVI-DT. Archived from the original on July 13, 2011. Retrieved March 15, 2009. ^ "Pro-Life For Governor, 2010". ProLifeIdaho.com. Retrieved March 15, 2010. ^ Iverson-Long, Brad (May 18, 2010). "Allred leading Otter in fundraising so far in 2010". Idaho Reporter. Retrieved June 6, 2010. ^ "2010 Governors Race Ratings". Cook Political Report. Retrieved October 16, 2010. ^ "Governor Ratings". Rothenberg Political Report. Retrieved October 16, 2010. ^ "2010 Governor Races". RealClearPolitics. Retrieved October 16, 2010. ^ "2010 Governor Ratings". Sabato's Crystal Ball. Retrieved October 16, 2010. ^ "Races for Governor in 2010". CQ Politics. Archived from the original on June 11, 2010. Retrieved October 16, 2010. This page was last edited on 20 March 2019, at 06:31 (UTC).